Smart Growth continues to flourish at the ballot box. With the exception of the defeat of a disputed highway and transit measure in the Seattle region, voters on Tuesday this week again overwhelmingly approved candidates and strategies that make their places cleaner, greener, more neighborly, and much more efficient consumers of land and resources. Voters across the country approved 34 of 55 conservation measures on the ballot, generating $1.4 billion in new conservation funding. The election results also indicate that the ideological attack from the right on growth management measures and candidates probably peaked, maybe in 2004, when libertarians and property rights groups passed Measure 37 in Oregon. That initiative restricted the reach of the state’s 35-year-old growth management practices, and produced a legal mess in the state. Last year, Arizona was the only state that approved a property rights ballot initiative, the Private Property Rights Protection Act. It called for state restrictions on land use regulation that ensured that Arizona citizens do not lose their home or property or lose the value of their home or property without just compensation. As in the three other states that considered similar ballot initiatives in 2006 — Idaho, Washington, and California — Arizona citizens were inundated with competing messages about the consequences of the act, known as Proposition 207. But a careful reading of the ballot language clearly indicated that its primary purpose was to limit cities from initiating eminent domain actions to convert private land to private uses, a response to a 2005 United States Supreme Court ruling. In that case, authorities in New London, Connecticut had used their authority under eminent domain to take property from an unwilling seller and make it available for private development, a transfer of private property that the High Court said was Constitutional, but which generated a wave of public opposition. Michigan also was among the states that responded to the Supreme Court decision. By a margin of 80 percent to 20 percent Michigan voters in 2006 enshrined in the state Constitution a provision that forbids local governments from using eminent domain to turn over condemned private property for development purposes. Seven more states that year — Florida, Georgia, Nevada, New Hampshire, North Dakota, Oregon, and South Carolina — also approved prohibitions by similar margins. Robert Liberty, former executive director of 1000 Friends of Oregon and now an elected Metro Council member in the Portland region, reports from Oregon (see pix) that state voters on Tuesday overwhelmingly approved Measure 49, to repair the damaging effects of Measure 37 by limiting the large-scale developments that measure had permitted. Measure 49 also will clarify the right of small landowners, so-called “moms and pops” to build homes, as well as protect farm, forests, and groundwater. 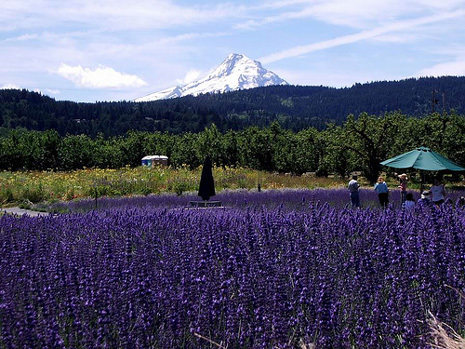 Under Oregon’s growth management laws, urban growth boundaries reined in sprawling development and are credited with conserving 16 million acres of farm and ranch land. “Measure 49 passed by huge margins not only in the Portland area. Multnomah County voted yes by a margin of 79% to 22%, and it passed by 2:1 margins in the suburban counties,” said Liberty. “It also passed by 60-plus percentage margins in many other counties. It won in important parts of Central and Northeast Oregon — ranch country — such as Wasco, Umatilla and Hood River counties. It won by wide margins in Yamhill and Polk Counties, the home districts for Senator Gary George and Representative Larry George. George was the Executive Director of Oregonians In Action when OIA developed the property rights measures. This is significant because not a single Republican in the Oregon Legislature voted to refer Measure 49 to the voters, not one, including many Republican in whose districts the voters supported the measure solidly. It’s important to note that just one property rights initiative appeared on an American ballot this year, and that was in Alaska’s Mat-Su Borough earlier this year. It was soundly defeated. Growth issues also dominated in about a dozen other counties in Virginia from the Shenandoah Valley to Richmond, and the Fredericksburg region, with smart growth candidates winning many races. In Seattle, an $18 billion package of investments in roads and rapid transit was defeated. The Sierra Club and Ron Sims, the influential and respected executive of King County, opposed the measure because it included too much money for roads and not enough for transit.